Print plans for the wall, or share with parents and go paperless! 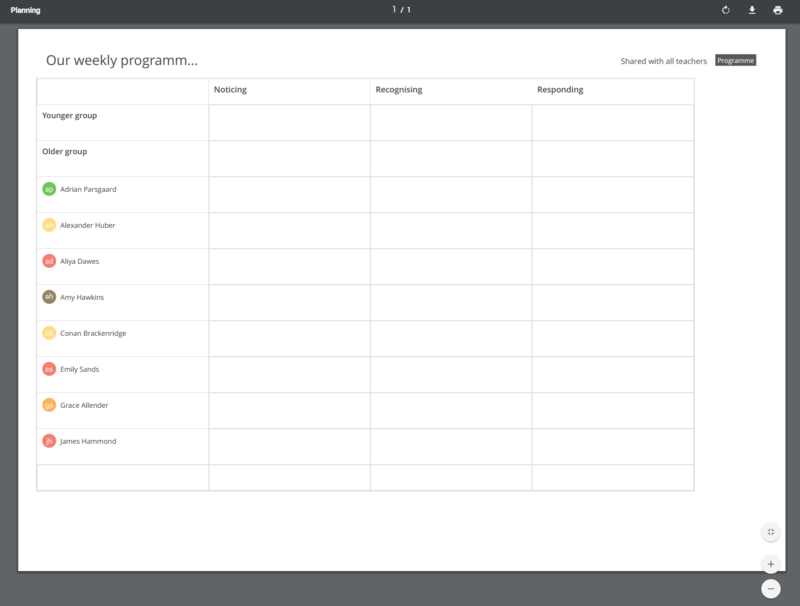 You can print any plan in Storypark, which is especially useful for teachers who are required to display planning in their service. In any plan you wish to print, tap the 'Print/PDF' button in the blue menu bar at the top. This will create a PDF that you can view in your browser window. 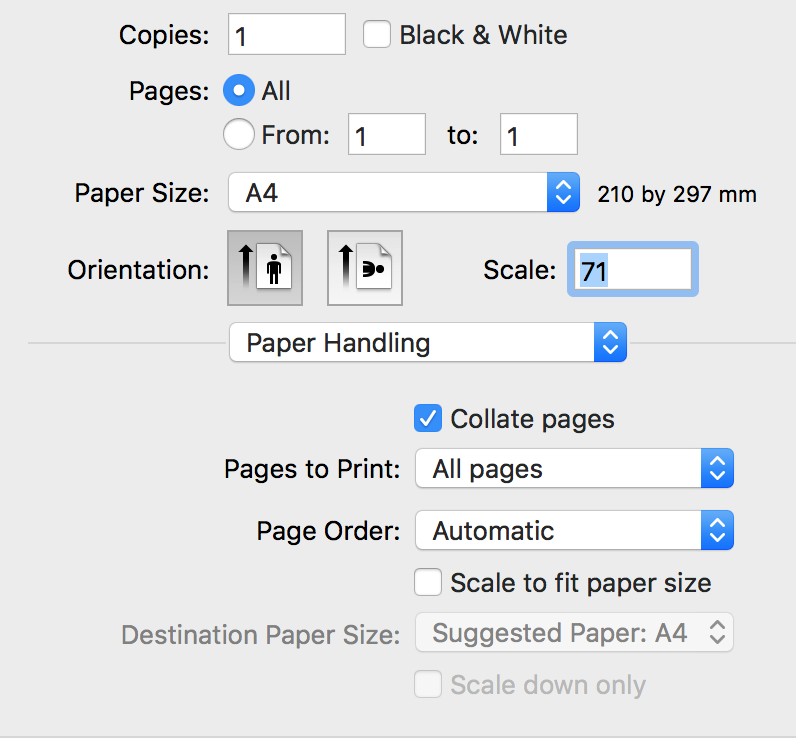 The PDF is set up as an A3 landscape page so whether you have an A4 or an A3 printer, the plan will simply scale to fit. Plans will adjust in size to fit horizontally on the paper size. So if you have three columns, each column will be relatively wide taking up one third the width of the PDF, whereas if you have six columns they will be half that width. If printing is important to your service then plans with fewer columns, ideally three or four, will be more readable, especially if you're planning on sticking them on the wall where they are often viewed at arms length. If you're printing a plan to stick on the wall with the purpose of engaging parents or staff, you may want to add an extra blank column in your plan to give people a space to write on it. Later, you could even transcribe these comments back into the plan in Storypark if you wish to keep them as a record. If your plan runs longer than a standard A3 it will add another page to your PDF. So when you print a multipage plan for the wall, you can simply cut off the bottom margin of each page and stick them together. Every service has different print needs so it would pay to experiment with various column numbers and plan lengths until you're happy with how it prints. 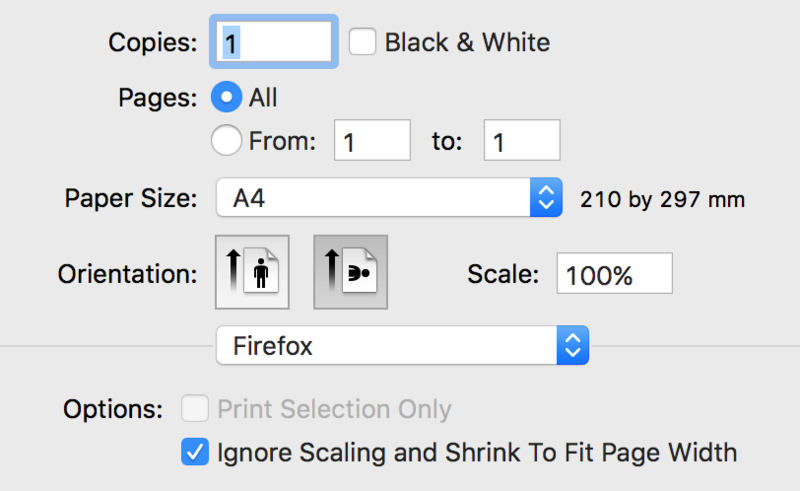 Once you're happy with the PDF that you've generated, click your browser's print button. Chrome and Firefox both have a print icon in the space above the PDF. In Safari and Internet Explorer, you'll need to find 'Print' in the top menu bar. 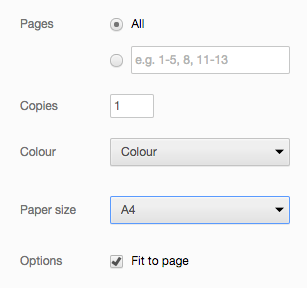 If printing on A4 paper select 'Fit to page' (or scale to 71% which is the size that an A3 fits on an A4 page). If your browser shows a preview, when you're happy with what you're seeing, click the 'Print' button.